Hello, most fabulous supporters of local farmers! You are all eating the change you wish to see in the world, and we thank you for it. We are preparing for a new growing season, and thus having a SALE! 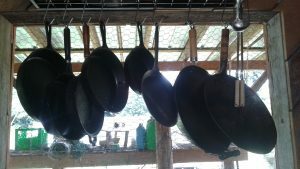 Our stock won’t last long (we are already out of hams and pork chops), so for the best selection call (250-642-5445), or send an email (castironfarmsooke@gmail.com) or facebook message, and we’ll put together an order for pickup this Saturday morning. You are (of course!) welcome to stop by at our regular farm gate stand, Saturdays between 10 and 12, but stock will be dwindling. The sale shall proceed thusly: Anything that is currently in our freezer shall be $2 off the regular per-pound price. Bacon is usually $15/lb, so while we still have bacon, it will be reduced to $13/lb. Make sense? If you have any questions, please contact us and we’d be happy to sort them out.